In the beauty and personal care industry, the word natural gets thrown about quite loosely. Reading labels is important, but sadly many ingredients hide behind a blanket name and may contain harmful properties, yet, they are not required to be disclosed. Slabbing harmful ingredients on your skin on a daily basis does indeed pose a health threat. Don't compromise your health for the sake of beauty. Any benefits from these compromised products will only be short lived. There are alternatives. 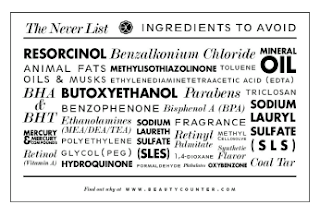 Beautycounter offers products that are truly natural and safe. Each and every ingredient in Beautycounter's products have been dissected with a fine tooth comb. This company offers strict standards and full product disclosure. I was sent a few products to review and I am pleased to write that they delivered good results. Before reviewing these products I let myself go for a week or two, that is, no using any products on my skin, so that I could better evaluate any improvements. 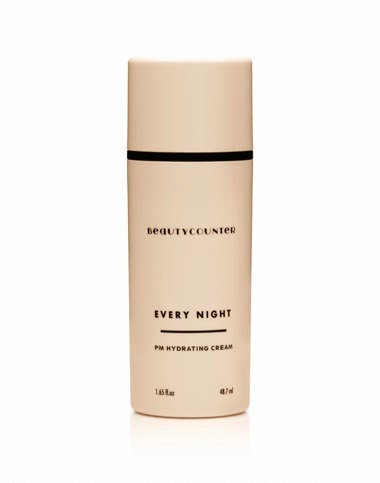 The Every Night hydrating cream is a really great place to start. The top ingredient is Aloe Leaf Extract, which is a powerful humectant, along with organic coconut oil. The added botanicals leaves my skin dewy and well moisturized. I've been using this consistently for a good ten days and I am quite pleased with the condition of my skin. Nothing beats a good night cream and the Every Night Hydrating Cream is excellent. 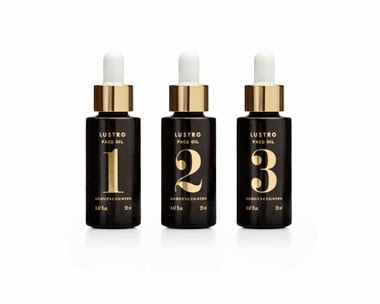 Pure good-for-you luxury best describes the Lustro Face Oils. Also another starting point option. These can be applied alone or mixed with the day or night face creams. I don't have the bottle with me and I'm not sure which number I was sent, but it really doesn't matter because they're all comprised of the finest botanical oils, such as grape-seed oil, virgin organic argan oil, sea buckthorn oil and other phenom oils that really benefit the skin. Nothing beats the smell of natural botanicals. I've started mixing two drops of this Lustro Oil with the Every Night Cream and I have to say that I really love this routine. The lovely aroma of the Lustro Oil dissipates, however, it does make the application process very enjoyable and my skin remains plump and dewy into the next morning. Don't neglect your eyes as they are the first place to show signs of wear and tear. The main ingredient in the Any Time Eye Cream is derived from coconut oil and comprised for hydration and quick absorption. 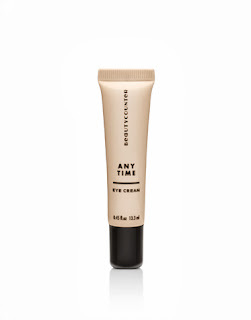 This is one of the better eye creams that I've used and that is because the product is easy to apply and absorbs quickly and thoroughly into the delicate skin around the eyes. Many times I've found eye creams to be too oily and hard to apply and then I don't stick with it, not the case with this eye cream. Today is the big day! I'm super psyched that Beautycounter just launched Lip Sheers. Can't wait to check them out. i think it is awesome that they never use formaldehyde!! among the other ingredients on the never list! I'm looking forward to trying out the Lustro Body Oil in Jasmine, sounds yummy. i would love to try the everyday am hydrating cream, thank you! I would like to try the HYDRATE EVERYDAY BODY LOTION. I'd like to try the Gentle Exfoliator Polishing Cream. I'd like to try the Every Night PM Hydrating Cream. Thanks for the giveaway! I like the gentle exfoliator polishing cream. I would love to try the Every Night facial product. I'd love to try the every night face cream! the gentle exfoliating poishing cram is my pick. I would love to try the Wash Everyday Body Wash! i am most excited about trying the sugar scrub. I'd like to try the Every Day AM Hydrating Cream. I like their Kidscounter Super Duper Sunscreen SPF 30. Needed year round!